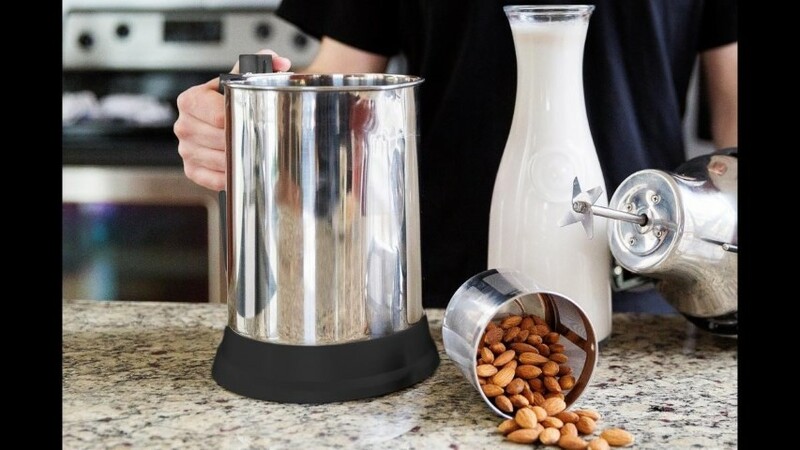 On January 12, Peter and Brett of Almond Cow set a modest goal of $10,000 on their Kickstarter page to bring their product–that promises 30 second almond milk–to life. 30 days later, 1,143 backers pledged $161,965 to bring Almond Cow closer to reality, more than 10 times the initial goal. The only preparation needed with Almond Cow is the soaking of almonds for four hours or overnight, and any preferred flavors or sweeteners, such as vanilla or dates, can also be added. Production is set for mid-February, with delivery estimated to be in April of this year. To find out more about the product, you can visit the Kickstarter page here.